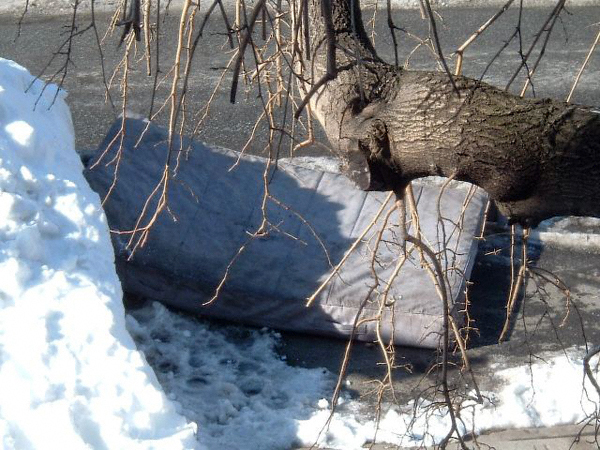 Greenpoint Feral Furniture Watch: Humboldt Street Mattress Slalom? I passed by three mattresses and a box spring this morning on my way to work. One mattress, which was out for trash *in the street* at Humboldt and Norman made its way down the block (toward Nassau), which is when my mom snapped this picture. I’m thinking someone used it as a sled.